"Sharp, witty and ultimately unforgiving in all the right places"
A piano is thrown from the top of an East London tower block. A Goth is sick on the bus. 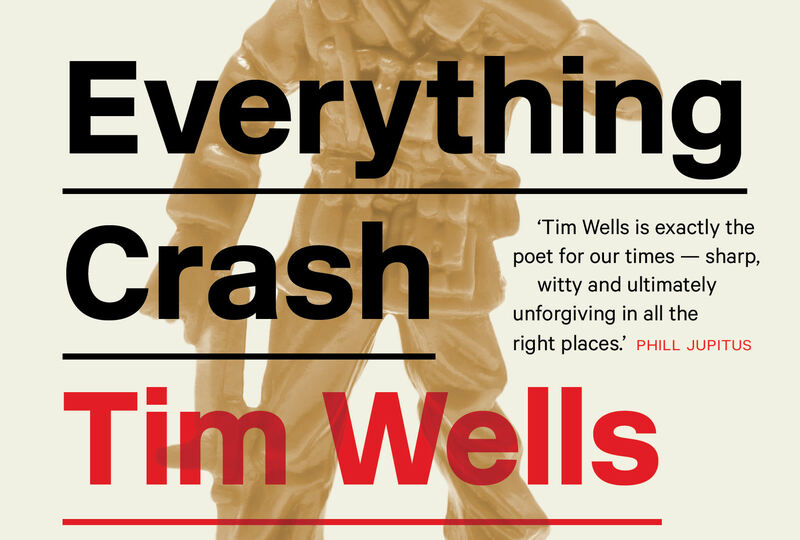 Crises, curses and kisses punctuate this new book of poetry by Tim Wells. 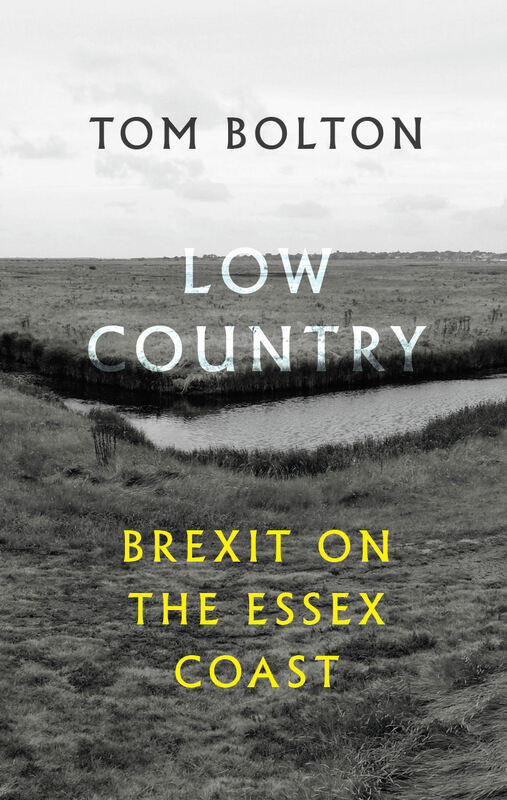 Written from the edges of the city, Wells’ tightly honed poems satirise the slide towards a world of frustration, gentrification and heavy manners. 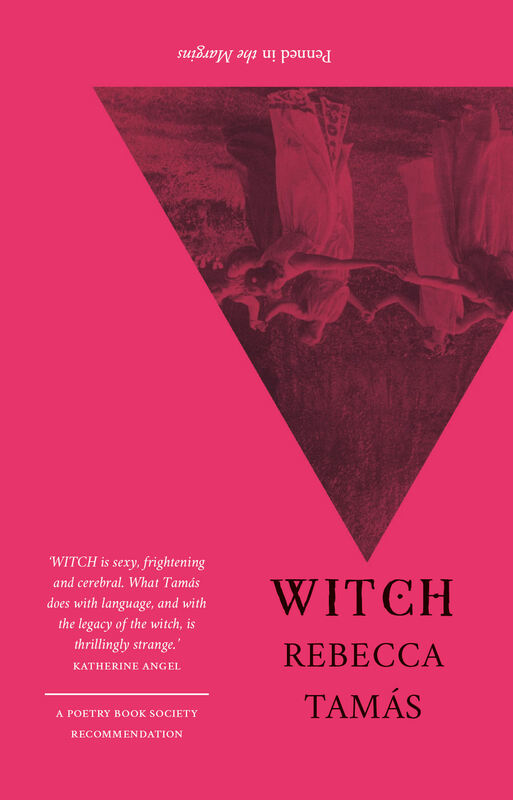 Sometimes hilarious, often angry and always decisive, Everything Crash is a fierce examination of love, loss and the politics of modern living. 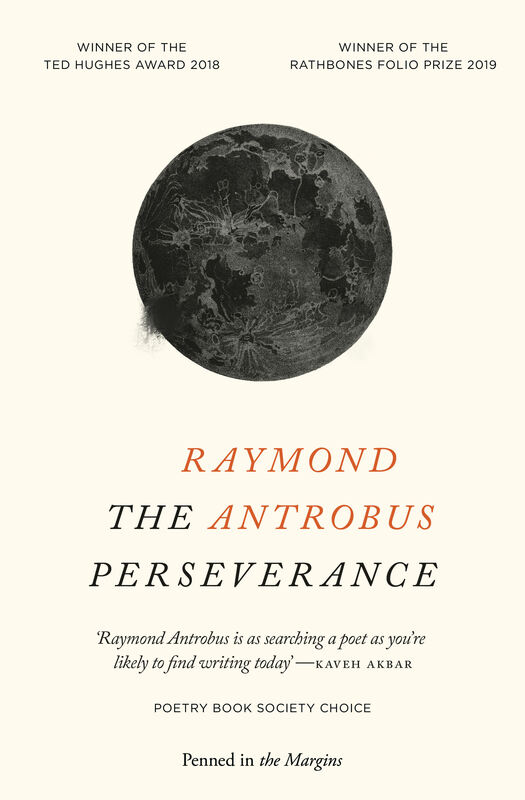 This is poetry that challenges austerity and pretension with a cutting wit. In uncertain times it's nice to have something you can rely on. 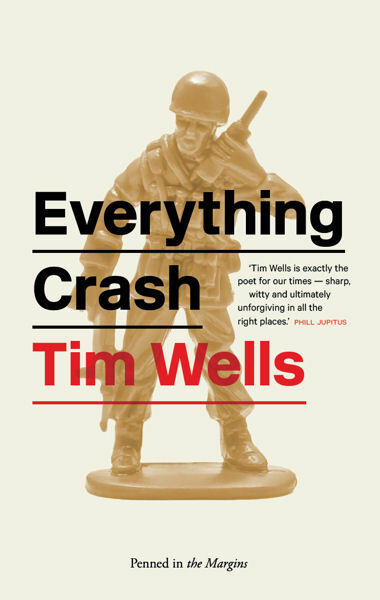 Tim Wells' words turn a gimlet eye on life's good, bad and ugly moments, as well as his own frailties. Imagine Ray Winstone petting a kitten and you get the idea. 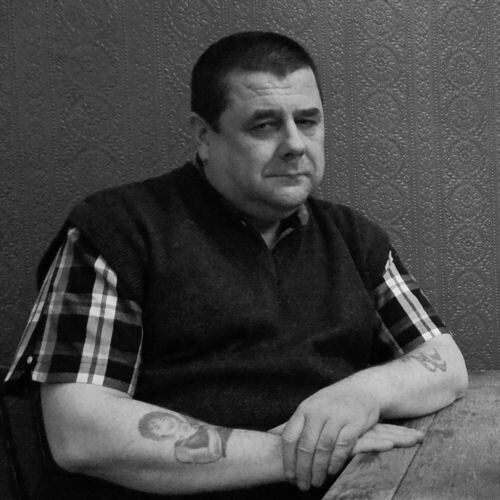 In his Brisbane Road Saturday schmutter and rude boy demeanour you'd be fooled into thinking he's a man out of time, but Tim Wells is exactly the poet for our times. Sharp, witty and ultimately unforgiving in all the right places. 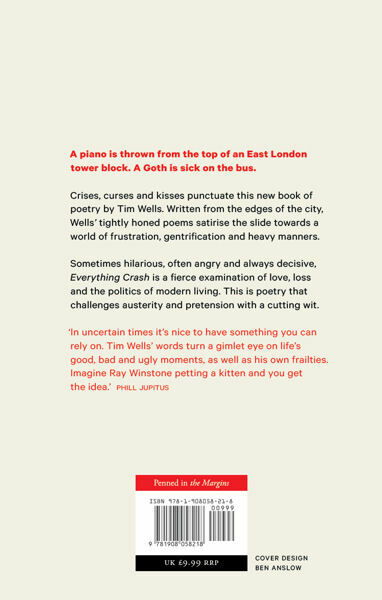 Wells is a necessary voice of dissent amongst a narrative dominated by austerity, high rents, funding cuts and Tube strikes [...] Poems that speak of all the promise of a Saturday night and all the hopelessness of a hungover Sunday morning navigate the tensions between hope and despair with wit and humour. Wells [spits] out what it feels like to be unwelcome in your own manor thanks to 'market forces'. Sometimes four verses can say more than six figures' worth of words. 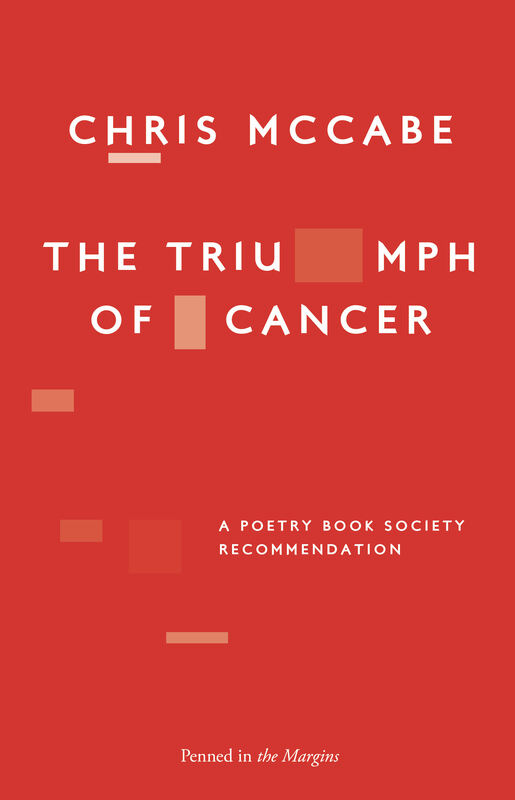 Tim Wells has cultivated a laugh that’s more like a caress. He walks properly. He does not slouch, shuffle or stumble about. He knows that wide, floating trousers are only good for wearing on a veranda with a cocktail in your hand.